Whether it’s a fun road trip or a tedious work day, GPS navigation systems can always keep you running with best routes, regular traffic updates and much more. Yes, using a Garmin Nüvi or a massive Magellan RoadMate is not easy, but once you’re used to these devices, you’ll love hitting the road equipped with your GPS. Smartphones with navigation apps are useful, but that does not mean that GPS systems are out of the game. The prices have plunged down drastically and the category has fully matured in all aspects. Today, you can find GPS devices doing much more than just finding your way or providing live traffic updates. 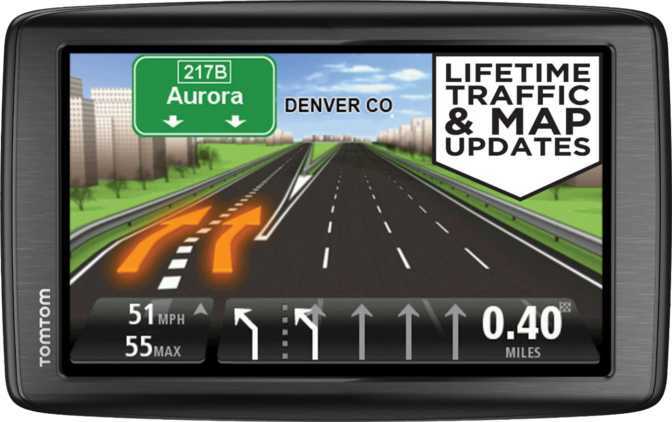 These standalone devices can be your perfect partner on the road and here’s what you should keep in mind when looking for the best GPS naviagtion system. 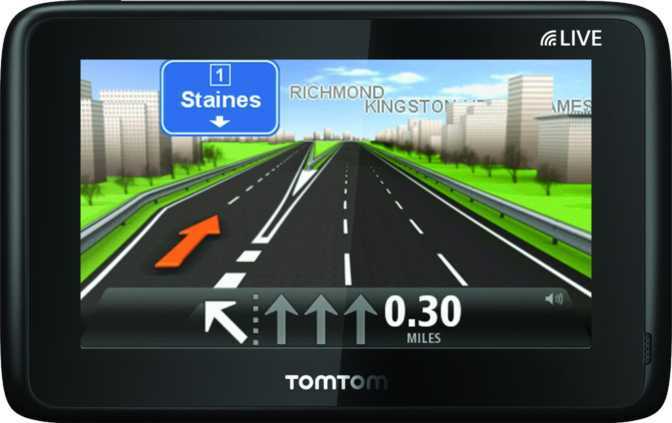 Selecting an ideal display panel is very important for choosing an appropriate GPS device. Though you can find a slew of screen sizes in this category, the best option is a 5" IPS panel which is neither too big nor too small. 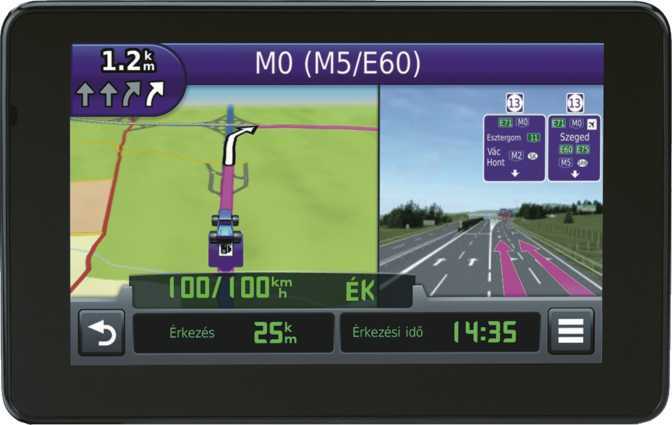 A large display like on the Magellan RoadMate 9055 saves you from the trouble of looking for a long time at the map or the street name, but it can gobble up your dashboard or windshield space quite easily. On the contrary, a smaller unit saves space and comes at a lower price, but you may find problems while reading the text on the display. 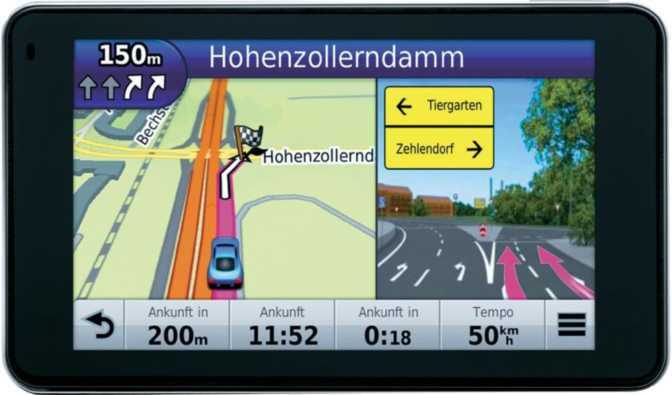 When buying a GPS device, you have to be sure that its screen is thin and large enough to display graphics and text easily. It should a fairly high pixel density (pixels per inch) and guarantee a detailed visual experience with immaculate viewing angles. In case you’re looking for a high-end model, you can also opt for a matte panel which comes with an anti-glare layer and improves the viewing experience at the cost of decreased contrast and color intensity under low-light conditions. 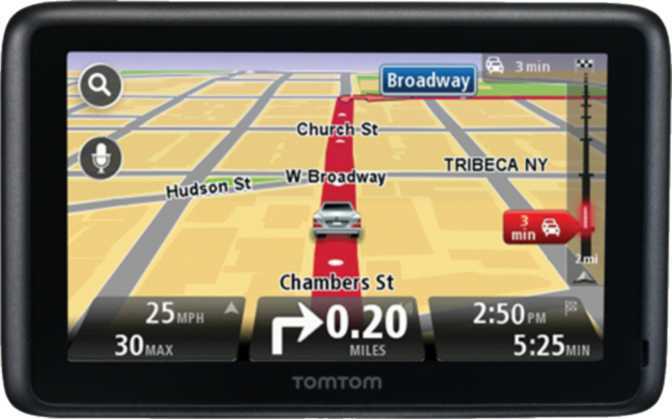 Along with screen-size and resolution, you should also check what else the GPS system has to offer. Some navigational devices only provide map and route guidance, while others also include things like points-of-interest, live traffic updates, and route avoidance. Points of Interest: Points-of-Interest (POIs) can help you find the closest restaurant, ATM, auto-body shop, or gas station. This feature can save you from the trouble of driving endlessly and can take you right to your destination within few minutes. But, it is important to note that not all GPS systems guarantee detailed results. Since the database varies, some devices give detailed, accurate and real-time results, while others leave you even more confused. The best way here is to check out product reviews before deciding on a model. Live Traffic Updates: The GPS system you select should certainly have the ability to provide real-time traffic updates without any subscription or additional charges. This could help you avoid traffic jams, especially during peak hours when everyone is rushing. 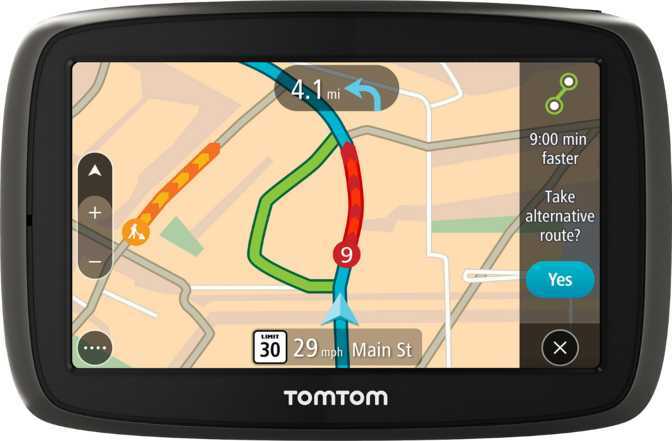 Normally, a GPS device provides traffic updates every 15 minutes, but you can also find some newer Garmin and TomTom models which provide updates every 30 seconds. Free map updates and route avoidance: Alongside real-time traffic updates, the GPS you select should also include free map updates. It should keep track of all the routes and should suggest an alternate route in case of roadblocks or other issues. 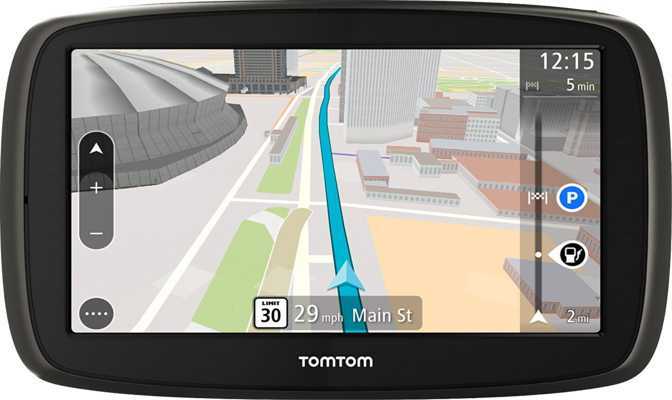 Garmin Nüvi 3590LMT and TomTom VIA 1535TM include free map updates, but some companies still charge for each map update. While looking for a GPS device, always consider build quality and portability. Even if you’re not in the driver’s seat, a portable GPS can be used to check directions. It can fit in your pocket while strolling around and can be mounted back later for your next trip. So, look for a GPS device that is light and thin. The dimensions can vary, but you should stick with a slim profile so that you don’t ruin your ride’s interior with an unwieldy GPS system. There are also handheld GPS devices which can be used when biking, hiking or doing other outdoor activities. Just like other GPS devices, these handheld devices have maps, weather alerts and waypoints and routes. One of the best handheld GPS devices is the Garmin eTrex 20x, which has a battery that lasts for 25 hours, making it the perfect travel companion for long trips. One huge advantage GPS navigation systems have over smartphones is the extended battery life. A classic GPS navigation system lasts much longer than your smartphone. Instead of using 4G or Wi-Fi, it works seamlessly and finds the desired route even in areas with no network coverage. GPS apps drain a tremendous amount of battery power, so smartphones might not even make it through the day if navigation apps are always in use. When it comes to portable GPS devices, battery life becomes a major area of concern. Normally, small GPS devices use 2 AAA cells and last 4 or 5 hours on a single set of batteries, while larger and heavier devices use up to 4 AA cells and last for almost 10 hours. So, if you need a cost effective way out for short trips, GPS devices with built-in rechargeable batteries could do or you’ll have to make sure you have enough replacement batteries with you. Since performance depends largely on battery life, make the choice by considering how many hours you would use the device on a single charge. In order to stay updated with latest routes and POIs, you’ll have to download the latest map versions. If you have free lifetime map updates, you can download a super-detailed map whenever you need. But unless you have sufficient storage space on your device, you cannot get full advantage of this feature. Maybe you can install the update two or three times, but once the storage gets full, you’ll have to clean up old maps and POIs to try the new ones. In a nutshell, make sure that the GPS you select has sufficient internal storage, as well as support for external storage with a microSD card. Text to Speech: Using this feature, the GPS device can give voice instructions. 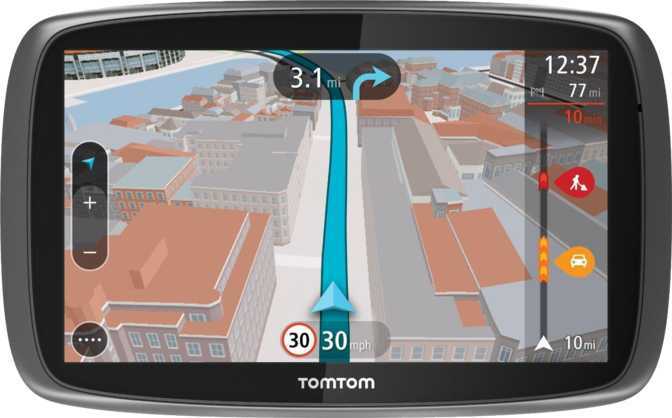 It can read out street names and direct you by giving short and understandable commands. This way, you don’t have to look at the map every now and then to check the route or available POIs. Voice Commands: A GPS systems that supports voice commands allows you to easily control the device's functions. Every time you hit the road, you don’t have to touch any button. A single voice command and you’re ready to go! Currency Converter: An inbuilt currency converter can prove extremely useful during your foreign trips. You can keep your finances in order with instant currency conversion. Pedestrian Mode: Pedestrian or walking mode optimizes the route to your destination and the estimated time of arrival depending on your walking speed. Once enabled, the mode works just like driving mode and has text and voice directions to guide you. Saving Large Waypoint: A waypoint is an exact position on the map which is expressed in latitude & longitude and is stored for future reference. GPS devices save waypoints electronically, but you have to be sure that the model you select should has enough storage space for waypoints.